Quick and easy installation for same day operation! 7-1/2 and 10 hp. single phase and 3 phase. The 9-foot (2.74 m) ring is flanged to the inside for greater strength. The ring is reversible for additional life. 7-1/2 or 10 hp. single or three-phase. Closed-die forged hardened cutters and claws on Patz Blue Gathering Chain delivers high volume feed, resulting in reduced labor costs! The high-capacity blower’s high-strength, corrosion-resistant steel impeller blades with welded studs are adjustable to allow close tolerance for maximum blower efficiency and longer service life. Choose flat blades or cupped blades. 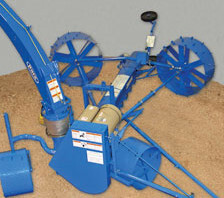 The Patz design loads the blower from the side to provide superior blowing performance. 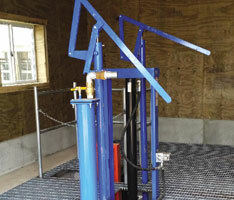 Full circle blower band provides improved blower efficiency. Optional stainless steel blower is also available. 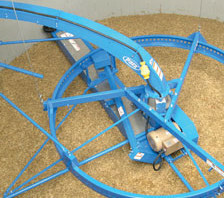 The power cutter's unique design with its spinning action follows the exact curvature of the silo wall. Spring tension keeps the spinning, self-sharpening knives in position resulting in a "clean shaven" silo wall. End winch watching and maintain a steady, high-volume silage flow with automatic lowering. 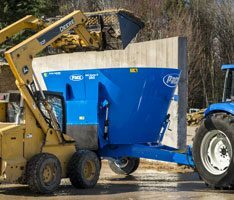 An optional electric motor-driven winch lowers the Patz ring-drive silo unloader automatically after it makes each complete revolution. 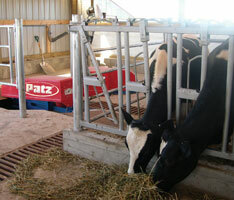 You can adjust the letdown to match the silage condition and your desired rate of feed flow. To regulate volume of feed, adjust the volume control dial toward the "Min" or "Max" position as required. 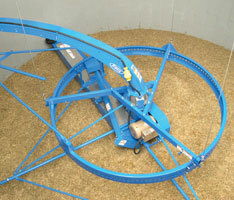 An ammeter allows you to monitor the load on the silo unloader motor while setting the volume control adjustment. The automatic lowering control keeps the silage surface level for reliable operation and constant full-flow feeding. 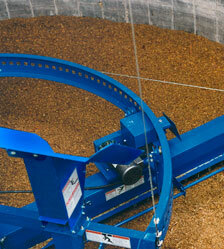 This winch control also allows you to easily raise the silo unloader at any time with the push of a button. 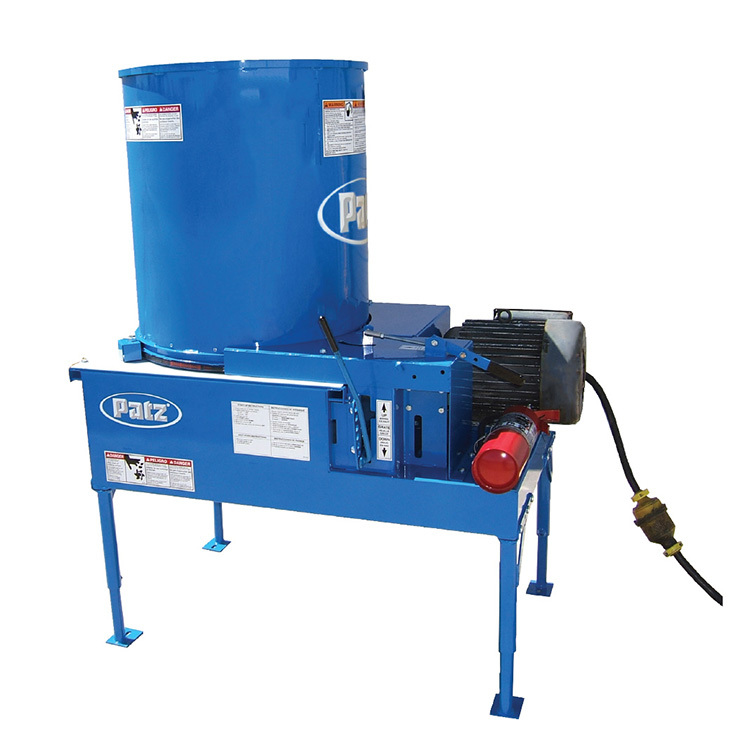 If you already own a Patz ring-drive unloader, you can add this automatic lowering option to your present unloader. Top quality silage requires a uniform distribution for better compaction of materials during the silo filling process. To accomplish this, Patz offers gravity-type and power-assisted distributors.